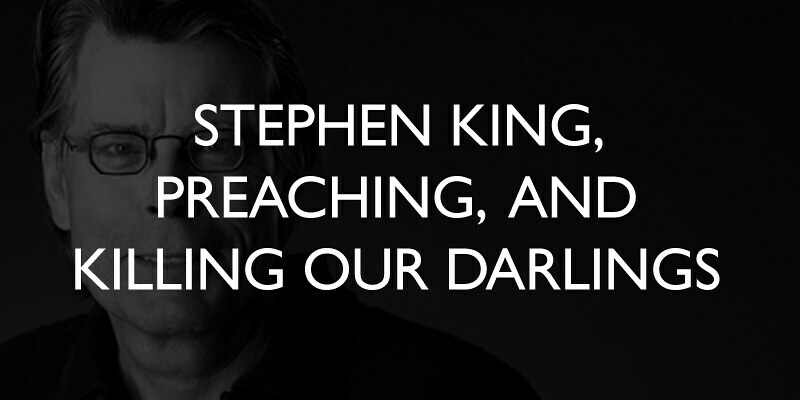 No, Stephen King isn’t a pastor. I don’t believe anyone would confuse him with one. I think King himself would gladly acknowledge that reality. What you cannot deny is that he is both a prolific and successful writer. For years, good friends recommended I add his book On Writing to my reading list. So last week I grabbed it. Let me be clear, I have no illusions I’m a writer (I’m a speaker) but I am intrigued about writing better. I loved reading William Zinsser’s On Writing Well and William Strunk’s classic The Elements of Style, so I thought King’s book would at least be interesting. Man, was that an understatement. On Writing was absolutely fascinating! One of the reasons I enjoyed King’s book were the parallels it offered to sermon creation. Let me highlight one example concerning editing. King speaks about the need to jettison anything in your creation that doesn’t move the story along. He writes, “If it works, fine. It if doesn’t, toss it. Toss it even if you love it. Sir Arthur Quiller-Couch once said, ‘Murder your darlings,’ and he was right.”[ref]Stephen King, On Writing: A Memoir of the Craft, New York: Scribner, 2000. 197. [/ref] Too harsh? Hardly. What is true of writing novels is true of writing sermons. Far too often preachers deliver bloated, chunky, or dense messages which are difficult for the congregant to process simply because sermonizers refuse to cut things from their manuscripts. This is the classic example of a preacher being more in love with his content than its reception. It’s hard not to be. The finalized sermon manuscript is akin to having chest full of golden nuggets after dirtying yourself in the depths of the earth for the better part of a week. You love what you find. It came at a price. Plus, you believe that all of these discoveries will truly help your recipients (I mean, they are gold aren’t they?). Or just a bad idea that we think is a good one. Whatever the reason, if it doesn’t serve the listener it doesn’t serve the sermon. Cut it. The struggle is that preachers become emotionally attached to their content. King writes, “When a novelist is challenged on something he likes – one of his darlings – the first two words out of his mouth are almost always Yeah but.”[ref]Ibid, 226. [/ref] I hear the same things from preachers. Heck, I hear the same thing from myself. I try to defend the reason [X] should be in my sermon with a stable of Yeah but’s. Not to mention, in my heart, I’m protesting: I worked hard for that nugget! I came up with that nugget! I love that little piece of gold! My sermon should have every piece of gold I found! But great preaching is not only deciding which nuggets you bring with you in the pulpit but which nuggets you leave behind. Bro, I really like this piece. Very nice.